Abbas Faggo, a 30-year old civil servant, who has been detained by Bauchi State Government for allegedly posting a Facebook account of alleged monumental corruption in the state, was yesterday arraigned before a magistrate court over alleged injurious falsehood and defamation. The prosecution accused Faggo of using his mobile telephone number to posting a message on his Facebook profile on September 4, alleging that the state funded the wedding of the state governor’s son, which took place at the Azare area of the state on September 8. 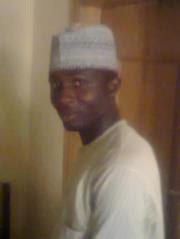 Faggo had commented on his Facebook on the alleged extravagant funding of Governor Yuguda’s son, Idris’ wedding. The case generated comments from over 500 people, including politicians, the Civil Liberties Organisation, CLO, prompting the Nigerian Bar Association, NBA, to indicated interest in defending the accused person. In his ruling, the presiding Magistrate, Adamu Madaki granted bail to Faggo. According to the bail conditions, Faggo must produce two sureties, who must sign a bond of N500,000 each and then adjourned the case to November 15, to enable the prosecution get lawyer to address the issues raised by the defence that had obviously rendered the charges on the First Information Report, FIR defective. Police prosecutor, Sergeant Mohammed Gaba, had earlier told the Court III, that the state Police Criminal Investigation Department, SCID, received a request from the state Attorney-General and Commissioner for Justice, Mr. Al-Mustapha Suleiman, to investigate the offence against Faggo, which was contrary to Sections 393 and 394 of the Penal Code. When the case was mentioned, yesterday, counsel from different organisations led by Chairman of NBA in Bauchi State, Mohammed Alhassan, announced appearance for Faggo. However, Garba told the court that police did not come with the accused, a situation which was opposed by the defense counsel and the presiding magistrate, who consequently ordered the police to produce the accused within 90minutes. The police complied with the order. This is suprising. Government is now feeling slighted that somebody is blowing the whistles about their recklessness. Do they have shame?